Original article published by The Cochran Journal. Article and photos by Tanya Kirkpatrick. Four classrooms. Four doors. Four judges. One pizza feast donated by Pizza Hut awaiting delivery to whichever classroom was declared the winner in the 21st Century Community Learning Center Door Decorating Contest held Wednesday, December 12, 2012. 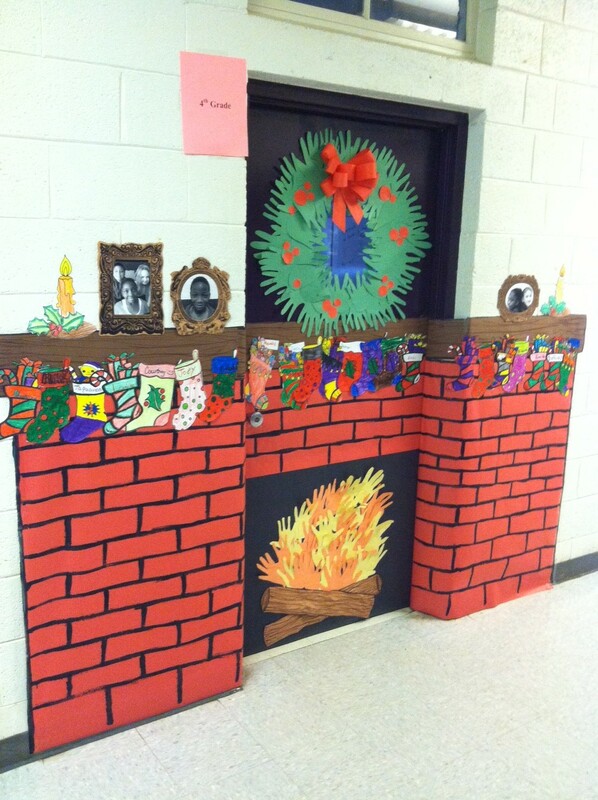 Each of the doors had a Christmas theme – strings of lights, garlands, snowmen – but all four judges agreed that the Fourth Grade classroom’s door was a step above the others in terms of creativity, originality execution and neatness. The stockings hung on the paper “mantle” were colored by the students and both the wreath and the flames of the fire in the fireplace were actually cut-outs of the students’ hands on construction paper. “Framed” pictures of the students and brightly colored candles placed on the mantles capped off the illusion if a cozy holiday fireplace. Second Place was awarded to the snowman themed door. Third Place went to the door decorated with lettered pennants and Christmas ornaments, and Honorable Mention was given to the final door, which was adorned with a single string of “lights”, each bearing a student’s name. It was obvious that everyone worked hard on their door to best represent the spirit of Christmas and The Cochran Journal was honored to be one of the judges in the competition.